Copper, dust, fire, and rust. BODY Renewed, and well. | SPIRIT Unresponsive, "deity mode". Dull. | NOTES Has returned to an earthen body. With the weaning of their young ones at hand, has decided to reprise an earth golem and dispose of their flesh and blood body which is currently buried somewhere in the Ruins. They won't reveal where however, and discerning scavengers would be hard pressed to find it at this point. The body has no power left in it besides a residual scrap. Their new form is a more solid brown-grey color with veins of copper shimmer running through it. Shapewise, they remain relatively the same. (new art to come !! ) Seems to have become more withdrawn and reserved than they were before. Has been in and out of the forest here and there, but nothing substantial. Met Velocity for the first time and introduced Yasu to him. Enjoying the evening with their fambily (Delta and Alika included of course), and was admittedly dozing off when they picked up on a familiar shape moving on a hill nearby the ruins. Noticed the Axebeak there, and remembering the beast from a time or two prior when she had taken a little too much interest in kiddos under the Deity's care, stooooood slowly and just eyed her up some, following her movements around the ruin until she was blocked from view. Sat back down at some point, figuring perhaps she was merely investigating from afar. NOPE that ended relatively quickly once the bird got too close to the den and went for the smols. Mamther Kero was much unhappy about this. Cue them attempting to shove the creature away, charging at her, and basically making a huge ruckus of warning howls in some attempt to frighten her off. Wasn't really looking to injure themselves either, but at a few points, definitely shoved their solid body inbetween the den and the predator. Noted Delta trying his best to help, and felt a pang of guilt to involve him in the moment. At some point, didn't want it to turn into a huge fight that would leave their flesh body injured, and backed off as they had taken a few licks by that point, and kept themselves between her and the den. They were grateful when a stray Rohit came to help scare the bird away for good, and gave a pained thank you to the Kudu, appreciating him sticking around to make sure things were safe for the moment. Had a long conversation with Delta, in which they also told the alien they were proud of his bravery on behalf of their family, even if they felt guilty about letting him get hurt in the process. After an arduous and long labor, finally welcomed Haru and Yasu into the world at last. Currently overjoyed at their grown family, basking with pride in the new life that they and Cassie have created together. My expectations... My loneliness... My fear... For you, my child... I will put them aside. Waddled to the pond very slowly to get a drink then back to the rocks! Was given some raspberry and nettle leaves from Llyr to help their pregnancy, something the deity was most grateful for. Then cuddled with Cassie who sang to Kero's tum and made them cry from joy because of hormones and emotions. A Tig also showed up later to cuddle too, leaving Kerosene very happy despite the aches in their body. Had a small conversation with Tig. Noticing a few cramps here and there, widely spread, making them uncomfortable, but ultimately opting to ignore them until they become worse. Mostly basking in the warmth and comfort of their family for the moment while chewing on some raspberry leaves. Would greet Delta later. Had a good snuggle with him and Cassie, listening to Cassie talking to their belly and just resting with the alien and the flower strong happily. Before long, went to rest for the night, preparing themselves for the very near future. Would meet with Indra while their body rested that evening. Found Romulus near a spot they had seen him before, and stood around kind of idly in the Nightmare's field of awareness as they waited to be invited to sit because they're an awkward idiot. Greeted him politely when he did make his way to them and give them his permission to join him for a time. Also said hi to Rota when she came as well, and remained in the two's company for a while more. Eventually felt kind of as if they were intruding a little, so bid them goodbye before waddling to Nix's spot and giving him a few nuzzles. Joined him in the flowers for a nice rest. Wherein Nix took to pressing his eager face to Kero's belly and getting excited when there was any movement. Which, nowadays, there always seemed to be, especially when there were others close by. After a time, was introduced to Nix's lady friend who stopped by, Rhiannon. Gave her a polite greeting, and wanted to move off to give the couple some space but Nix seemed rather happy to have Kero there despite his company. They would stick around for a bit of time, but eventually make their way to the idol by themselves. At some point found their way to Llyr and Sadiki, scooted right into there and had Llyr up against them at some point. Joined by Tig as well not long after. Basked in their company happily for a long few hours. Conversed with Tig a little. Eventually Sadiki and Llyr took their leave, so that only Tig remained with the Hearth. 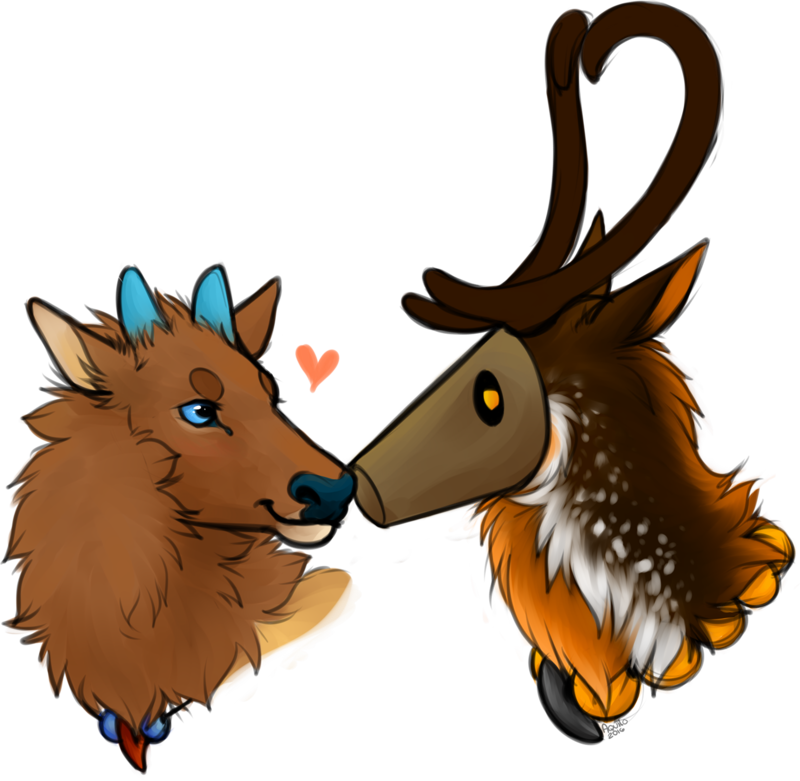 Delta, however, made a welcome appearance, and the Deity promptly took the snuggling the young one and greeting him. Had a long and interesting conversation with the alien about some good things and not so good things, but in the end, hoped their words reassured him some. Snuggled up with the grey star and Tig for the night to sleep in the flowers. Considered the happenings of the past few days and has been laying low as a result. Came out of that yesterday only to be sent into a worse and weirder mood by an unfortunate incident where their timing was not grade A. This morning, took to pacing around the idol after taking a long drink there. Definitely taking distance from any familiars, feeling as if they needed the solitude in some respects. Their fears for the future, their worries for what may come to pass and what has was overwhelming to the point they paced until their legs felt like jelly and they needed to just sit a minute because of the calling of their aches. Eventually gathered some grasses and flowers to take back to the pillar den so they could engage in some housekeeping. Which kept them occupied for all of maybe five minutes before they would pace around the rocks, rub their scent on the pillars, and leave. They returned to the idol only to find Rhona and Saosin there in the place they most favored, so they sat dimly in Draven's home. And that lasted for less time than it should've as they just willed themselves up and paced more in a deliberate attempt to tire themselves. It did work, in terms of making their legs angry and unwilling to hold them up much more. The babies seemed to know in a way that their birthgiver was troubled, as Kerosene felt more than a few hoof punches from them during their more frantic pacing. They blame some of the thoughts on hormones, but the rest seemed... really legitimate given recent circumstances that made them suddenly wish all the more that they had their old body back. Awoke with some pain in their back again, but that's becoming very commonplace at this point, so the Hearth elected to ignore it. Instead, went where they sensed the Red to examine the old hart, but was interrupted by Cassie, though not to any displeasure on their part. The two shared their plans for making gifts for the young ones, and Kerosene asked the flower strong if she wanted to help them pick out some poppies for one of the children's masks. 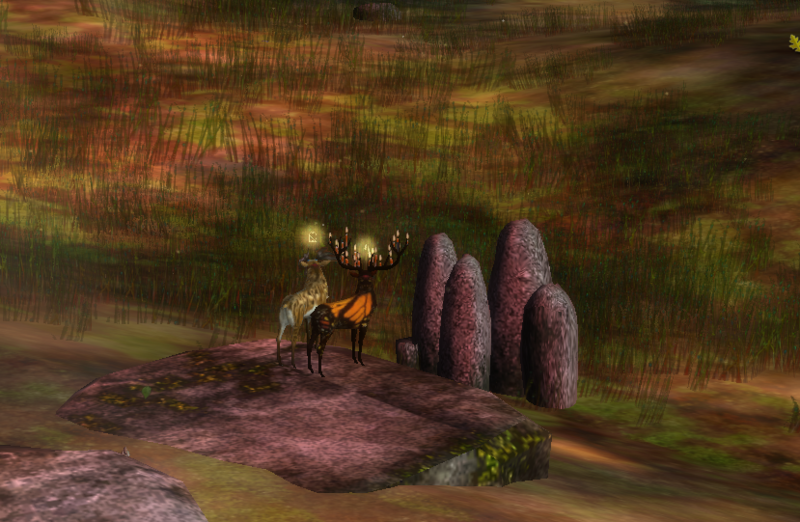 Galumphed around the forest together while the hind picked out the best of poppies and gave them to Kerosene to carry along. The deity was fully tired by the time the two made their way to their ruins den where Kerosene was beginning to store some nesting materials and the gifts both they were working on and that Dorian had given them prior. Grew immediately defensive when Kerosene sensed that Dardan was far too close to the ruins for their liking. Pulled back by Cassie with tender affections and warnings about the babies that were now much bigger in them than the last time they tusseled with the beast. Huffed and sat back down while the couple worked on their respective crafts. Eventually joined by Aries, whom Kerosene was happy as a clam to see, immediately snuggling to the little one while she settled in the warmth of her parents. After the two had fallen asleep, Kerosene opted to wander a little and found Dorian with a strange but courteous doe. Greeted her and sat. They were left alone with Dorian, who quickly buried his face in their fur as they curled around him. Hoped he was okay, but felt better to wallow in silence for the time being. Started the morning by going down to the pond to take a drink, and noticed Romulus in the shallows. Meandered up to him curiously, greeting him when he stood and nodded. They waffled about for a minute after he sat down before going to sit on the shore not far from him, keeping distant company. Approached by Dorian some time later, surprised by his visit but even more so by the gifts he brought for the Deity's unborn children. The packages of which included a book of fairy tales, a copy of The Picture of Dorian Gray, a well loved quilt, and an old fashioned teddy bear. 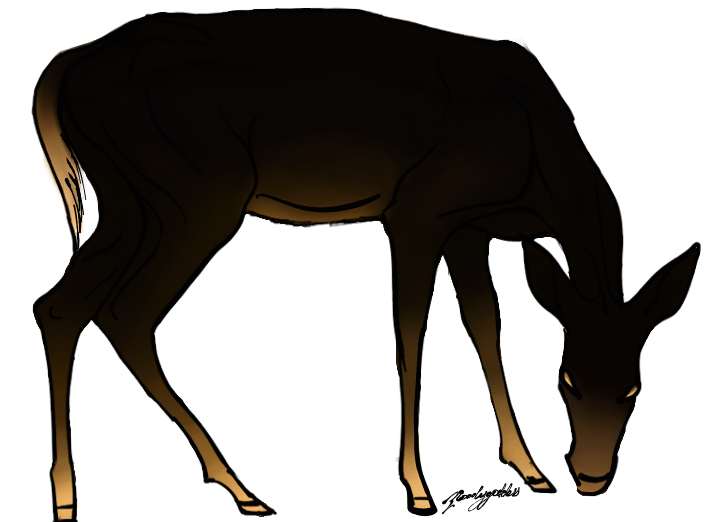 Kerosene was touched by the gesture, promptly thanking the dancer and telling him it wasn't necessary but very much appreciated by both they and the unborn fawns. Noticed Romulus limping off out of the corner of their eye and felt kind of bad they didn't manage a goodbye while visiting with Dorian. After they were left alone, they picked up the things and cheated to put them back at the den with a little bit of their small store of divine magic, then made to go to the Idol when they noticed commotion nearby. Lots of running and playing going on between the Red, Saosin, Tig, and Sylvan Rah. Sort of stood on the sidelines like an awkward and suspicious idiot which prompted investigation from Red. Recognized him from seeing him and Saosin numerous times from a distance, along with the day Sevigne died and they had given their usual ritual. Felt a bit like they ruined the party when the Red opted to go sit at a tree after giving Kerosene a sniff over. Zoned out for a moment before Cassiopeia appeared and engaged in some of the romping. Kerosene was more hesitant, definitely feeling their belly today as their back yelled at them gently. Though they did join in at several points. Eventually the party ended with everyone sitting in a line. Despite not being very familiar with half the group, Kerosene felt at ease with Cassie by their side. Once the others had dispersed, Kerosene prompted Cassie they wanted to return to the den to show her Dorian's gifts, following her playfully back. Noted the presence of some strangers nearby but was mostly indifferent to their presence. Joined by Dorian at some point. Returned after a lengthy absence (bc the player had no internet) out of body. Had only returned to keep their body in good shape but was called to the Inbetween for urgent matters. Noted at least after finally returning wholly to their body how much their belly has grown in the past month. No hiding that now! 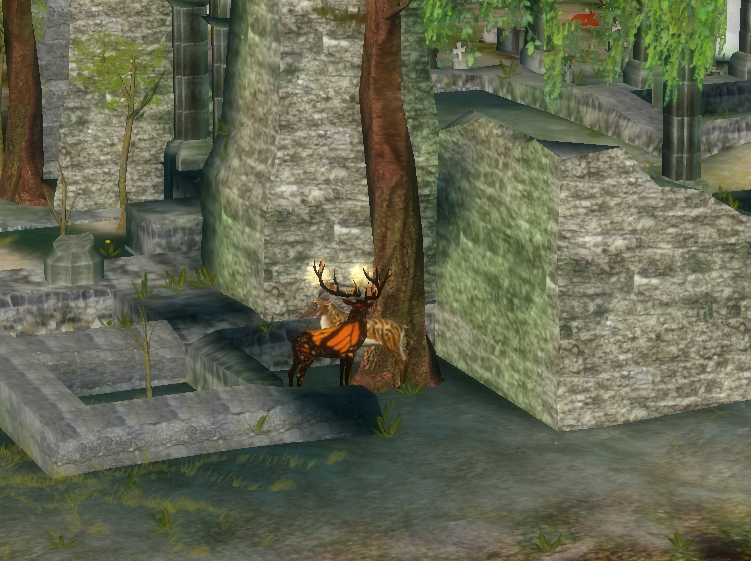 Roved by Dardan's tree after sensing some kind of death, and it didn't take them long to figure it out. Didn't stay to offer their usual ritual due to Hammel being nearby. Wondered who finally took out the big beast, though had suspicions. Gave Alika a passing nuzzle and then sought out Nix and Tig who were curled around a sickly looking Ross... Mm. 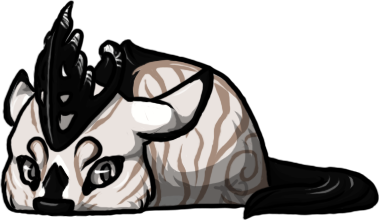 Gave Nix and Tig nuzzles though the latter was napping. Then Cassie came by! Lots of kiss and affection. The deity did whisper of Dardan's death to her, not gleefully but matter of factly more than anything. After that, they headed to the pond so Kero could get a nice long drink. Wanted a fish but Morgen was right there with Vidarr and avoided doing so out of respect. I know, too, that death is the only god who comes when you call. GENDER: None (They/Them) Has no external or olfactory markers of gender, likewise lacks genitalia and reproductive organs. AGE: Adult, ageless and ancient. 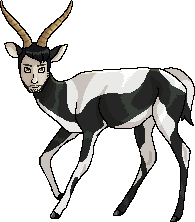 SPECIES: Minor Deity. 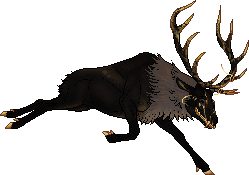 Appears as an elk influenced cervid, for the most part. SCENT: Hearth cinders, earthy; burning wood, with a very very slight undertone of warm vanilla. Playground; prominently, their former den site. Connected strongly with graveyards, sotoba, and funerary haniwa in particular, which their mask resembles. Can heal others with a special ash they produce from their body, but not themselves. Occasionally lights ritualistic, cleansing fires near the ruins, if they are sitting here or here, they're burning one. A -mancer of dust, earth, fire, and heat. Seems to have a vague connection to kitsune. Likes doing casual divining with ash, or fire, possesses limited clairvoyance. Personal realm is called the Bronze Timber, an autumn forest with a Shinto style temple at its center. Carries a rosary made of their power. Features a magatama filled with powerful energy. Has no sense of smell and cannot scent anyone. A guardian of the dead, protector of spirits and graves. Purifier of souls and peacemaker of raging spirits. A couple flower crowns from Cassie, preserved and hung at their temple. A flower from Tig's crown. Saved at their temple. A book of fairy tales, a copy of The Picture of Dorian Gray, a well loved quilt, and an old fashioned teddy bear from Dorian; for their children. A small stash of raspberry and nettle leaves from Llyr. Mostly gone due to being eaten. A wooden water bowl from Anneliese. A patient face, and a solid exterior, Kerosene is not easily phased by most things. If they come across strangers, they're curious, relatively friendly. Groups alienate them unless filled with members they recognize and are comfortable with, they much prefer dealing with strangers one on one. Tires easily in social situations, or with people who display a lot of energy and emotion. They're compassionate where they feel it necessary, but cold when they feel slighted. Above all, they live by their own rules. If something doesn't suit them, they'll leave it. They practice politeness whenever possible, however, bowing to even the nastiest of attitudes given the chance. They are capable of speech in this world, if the need arises. Their inability to process feral behaviors is due to the fact they are an otherworldly interlocutor in this forest. A terrible reader of body language, overly cautious when it comes to this. They can come off as skittish if they feel they are not somewhere at the right time. Capricious at times, but stable in their emotions. Can be borderline mischievous or impulsive, depending on the seasons. They expect nothing of anyone, especially on their behalf. This often leads to them being surprised when people do something for them, or even embarrassed when someone feels the need to protect or help them. It's to be noted that while Kerosene avoids as much conflict as possible, there are times they realize their intervention might be necessary, and they will be protective of their charges or certain characters. They have no biases against predator or prey animals, and do not fear predators as a result of their existence. Has no interest in exacting revenge much of the time, believes more in delivering justice than retribution. A gravekeeper or spirit from a realm beyond the forest. 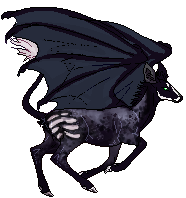 Their primary job appears to be acting as a guardian of the dead, secondarily the calming of spirits, guiding them, protecting them, or helping them rest. Also offering a passed soul safe passage to wherever they are destined to go. Along with this they can also purify corrupted souls, or calm raging spirits. Seems to be a minor deity of their profession, and the forest is simply a stop along their way. Their body is devoid of flesh, instead being a construct made up of earth and bone. They are usually comfortably warm to the touch. They can change this golem they inhabit at will, with absolute control of its actions. In times of extreme physical duress on their constructed body, they can leave it entirely to crumble and release, but in doing so, eject themselves from the forest. It will take time for their body and rosary to reform from the earth before they can enter it again. They are not actually a deer, and merely take on the form of one. They are not allowed to use the full extent of their powers within the forest. They can use some portion of them, however, including their healing abilities and heat/fire manipulation. They rarely find reason to hold true grudges due to their transitory nature in the forest. Any apprehension, wariness, or hatred they might feel towards an individual can be dissipated quickly if given a better impression of them, or doesn't last very long/is forgotten about unless one shows them continual aggressive behavior or harassment. Using the ash produced by their physical body, they can mend external wounds, and broken bones. Any recipient of said healing will experience a slight fever until the action is completed. Depending on the receiver of the action, the healing may only be partial. Coworker; buddy system; important figure; lifeblood. Kerosene's comrade in this world and all else, and the only one who understands their mannerisms better than anyone else. Because they are similar beings, Kerosene seeks her out for advice and to tell their woes to, should they arise, feeling at ease always in her presence as they can be themselves. They're always appreciative of her, and tries to find the good there is in her, having it seen it many times in the past. Though they quarrel with her point of view about the various life they come across in their work and travels, Kerosene will always be more than fond of her, far beyond even their work together. A highly respected, and unbreakable tie. The flower strong hind or any variation thereof; true companion; kindred soul; loved; always welcoming and appreciative of her being. Finds that her presence lifts their spirits, and can accompany her everywhere without judgement or uncertainty. They can always be themselves with her. A respite, grounding, and safe. Thinks she's beguiling, grateful for her similarly protective nature and kindness, sees a compassionate strength in her, a fun loving attitude they admire greatly. Enamored with, cherished dearly, and treasured. Never to be harmed, or to allow harm to come to. Mother of their children. A sun warming their rigid earth, unshakable. Haruko; sunlit earth; loved; firstborn son of the Hearth. Loved with all of their being, and to be protected at all costs. Yasuko; moonquake; loved; firstborn daughter of the Hearth. Loved with all of their being, and to be protected at all costs. Icy eyes; charge; protective of; fond of; one of Cassiopeia's biological children. Will look after and protect whenever they're around the little one. An indomitable chilly spirit. Hard not to grow fond of due to her curious and social nature. Considered one of their own children, and loved as if she belonged to Kerosene themselves. Finds her very cute, always watched out for. Hopes to be a source of guidance for, to help her in life as she grows and wishes the best for her. Silver star; charge; curious about; protective of; fond of. A strange little being who appears friendly. Greatly enjoys his company. Sees a lot of themselves in the alien, and as a result, feels a need to protect and care for. Looked out for, enough to be considered like family and taken under the Deity's wing in the absence of other guardians for the star. Hoped in some way they can be a source of stability and guidance for, and watch out for as he matures. Playful companion; protective of; fond of. Finds her very kind. Appreciates her energy and admires it to a certain degree. Always enjoys her company when she offers it, finds her upbeat demeanor to brighten their day. Thoroughly enjoys their conversations, finding them welcome respite. Worries about when she goes missing for long periods. The jolly red stag; remembers; thinks very well of. Will seek him out whenever they sense him around. Enjoys his considerate nature, and is grateful for his willingness to include them. Feels content in his company. A playful creature full of mirth, considered a good friend and ally. Will never hesitate to come to his aid should he need it. 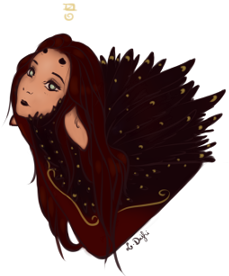 Red feathered lady; remembers; curious about; protective of; will seek out if they find her alone. Enjoys her quiet, calm company, a reassurance in times of distance. Wishes that motherhood goes well for her. Will always offer her their protection. Looked out for and appreciated for her caring nature toward them. A comrade and good friend. 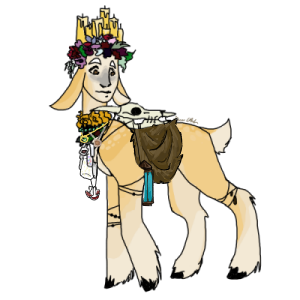 Candle crown; remembers; protective of; a young resident of the forest that they've seen around many times. Enjoys his gentle and friendly demeanor. Gifted him larimar from Indra, offered protection. Little flame, looked out for. Familial, in some sense, grateful for his kindness. Always willing to help if he needs its, and immensely cared for as if he were one of their own. Little torn one or torn fawn; remembers; curious about; protective of; a sweet little fawn heavily associated with Cassiopeia. Enjoys playing with her, also seen as part of the family. Unsure however, what the other thinks of them, though they always try to be kind to her and offer protection should she need it. Remembers; thinks well of; a sudden appearance in the Hearth's life, but a welcome one. Feels free enough around the dancer to show them a more mischievous and frisky side of themselves that is certainly reminiscent of their true form. A playmate and good company. Remembers; curious about; seems alright. Usually seen in the Drais family company. Trusted, glad he looks out for the Drais family. Touched by his concern for their wellbeing, and thinks well of him because of it. Finds he is eager, playful company much like Draven but also rather sweet and cuddly. Enjoys his presence enough to seek him out on their own. The dusty gentleman; remembers; thinks well of; tries to show the old man as much respect as possible and worries for him. They can appreciate his quaint company, even if they've had trouble reading his body language in the past. Scarce? (Baby) star child; remembers; protective of; a smol they will gladly offer warmth to if they come across them alone. Looks out for, cared about. A charge of sorts. Scarce? 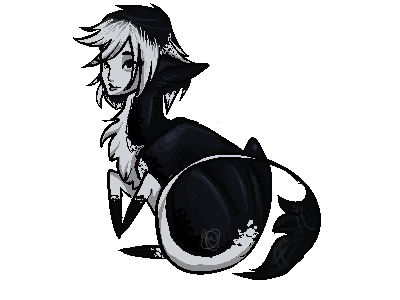 Treasured fawn; remembers; curious about; protective of; thinks well of; a strange fawn first found with Cassiopeia. Wishes to see more of. Already likes their company. Missing? The good company; fond of; a playful acquaintance and one of the first deer Kerosene frolicked with. Enjoys her companionship greatly when she is around. Missing? (the) Sturdy one; remembers; curious about; watchful of; worries for; grateful toward for her understanding and forgiveness of the deity's less couth behaviors. Considers an ally. Quietly admires her stone will. Finds peace in her company. The silver doe; fond of; first forest friend. One of the first deer to show Kerosene kindness, they think very well of her. Feels apologetic when they have to leave her alone. Missing? Otherwordly green; remembers; curious about; thinks well of; a doe they protected from the harassment of a stranger in the past. Thinks of her as a gentle being, and is glad for her company. Remembers; protective of. One of Thais' new twin boys. Uncertainty, though the child appears to be growing more used to them. Greatly enjoys rare moments where he approaches them. Endearing. Remembers; protective of. One of Thais' new twin boys. Likes to talk a lot at the Hearth, though they are afraid of frightening him; unsure of but cares for. Sakura petal doe; remembers; thinks well of; a gentle and courteous presence in the forest, knows her as a positive acquaintance. Usually seen in Matthew's company. Naked faced stag; remembers; thinks well of; a quiet, stoic individual but not unkind. Thought of as amicable. Usually seen with Anneliese. Remembers; curious about; seems alright. Seen around quite a lot lately, a kindly doe from the looks of it. Thought of as pleasant and peaceful company, but not without her own brave and feisty side. Helpful. Remembers; curious about; a flighty youth seen often in Tig's company. Polite, respectable, a seemingly softhearted individual who Kero has pitied in the past for unfortunate circumstances. Thought of as pleasant. Remembers; watchful for; Cassiopeia's son who doesn't seem fond of the Hearth, especially around his mother. Will protect and watch over, but feels rejected by; doesn't want to force a bond on the young one. Remembers; watchful for; curious of; protective of; one of Cassiopeia's daughters. Quiet, endearing. Remembers; watchful for; seems alright; a young creature often seen with Mjolnir. Keeps an eye on the boy for the Warhammer's sake. Remembers; seems alright; assumed to be Mjolnir's son, or associated to. Grateful to, and thought of as amiable. Might aid or keep company if they come across him. Remembers; seems alright; curious about; an interesting gal who approached Kerosene one day and started offering them her company. Seemingly kindly, and considered good company. Enjoys her singing. 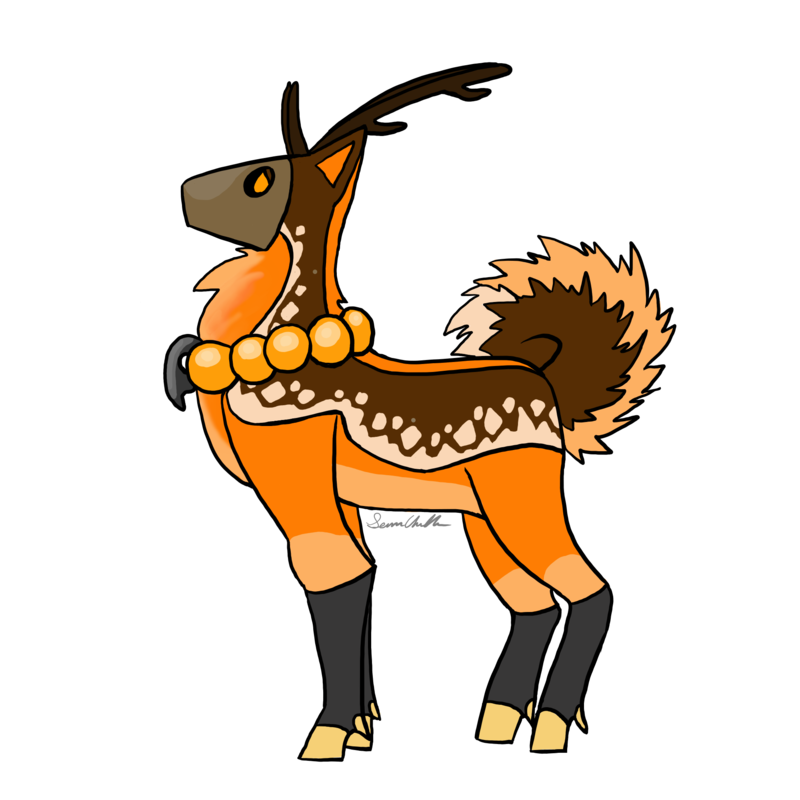 Tangerine doe; remembers; curious about; seems alright; appears friendly. Usually seen in the Drais family company. Playful. Remembers; thinks well of; curious about; remembered and grateful to for helping drive a predator away from their family. Midnight pelted hart; remembers; curious about; seems alright. Usually seen in the Drais family company though has noticed with Sabel on occasion. Considered pleasant. Pale one; remembers; seems alright; seems to have a tie to Cassiopeia. Seen around the forest on numerous occasions. Has warmed up considerably to the tiger brother recently, and appreciates his calm demeanor and kindness toward Cassie. The flint; remembers; curious about; unsure of; seems to have a tie to Cassiopeia. Like his brother, seen around the forest numerous times. Cuts an intimidating figure and appears to have a reputation, but the Hearth has no particular qualms with. Curious about; remembers; a large and imposing creature but opinion trends toward positive. Respects him for what he is. A reoccurring presence, sometimes sought out due to curiosity to offer their company to if he would have it. Curious about; unsure of. Another deity apparently similar in their line of work. Confusing thus far, even by their standards. Soft coated stranger; remembers; unsure about but likes enough; seems alright, maybe kind of grumpy. Perhaps a troublemaker, but nothing too serious. Missing? Hostile stranger; remembers; unsure about but accepted. Believes they judged him too quickly, willing to give a chance but doesn't trust. Scarce lately, but not sought out purposefully. The shadow; perceived as a less than polite pest. Mostly avoided, and faded, uninterested in but would not hesitate to aid in an attack against. Extremely wary of; heavy distaste; a violent and disreputable beast who attacked while the Deity was pregnant. Thought of as scheming and mindless, to be avoided or defended against if he attacks another. Wary of; Associated negatively with Dardan. Not tolerated, happy to single out if not with Dardan's pack. Not trusted. Wary of; considered a threat. A pest for all intents and purposes. Will readily retaliate hostile actions from, and won't tolerate at a close proximity. Wary of; a pest and a threat. Indifferent to but will not hesitate to retaliate against. Wary of; a pest but also something of a danger when children are around. Will not tolerate around their family, but otherwise doesn't see as a threat if they are alone or with another capable adult. The Trickster Eidolon. Likely found the forest through Indra and Kerosene, one of the more hated members of the Inbetween. Especially by Kero themselves. Finds him positively distasteful, and cares little for what he does, but recognizes in some respect it's his job just as they have their own. Won't go out of their way to antagonize but can hardly stand his company when it's necessary, and is hardly afraid of showing it. Doesn't enjoy his tampering with souls they should be guarding. Doesn't realize he's found the forest, yet. please let me know who you are from here when you send the contact request so i can add you, if you don't i will reject your request. sorry. all of kerosene's actions are to be taken as in character. if you have an ooc problem with them please tell me, communication is absolutely encouraged. thank you. DISCLAIMER IC at all times. expect possible mentions of death, and violence. css has roots with Unplugged, edited by Aquilo and myself for my use only. Shika was pleased to meet Kerosene. I apologize for abruptly leaving the forest, my laptop just died. > Kerosene gave a polite reply of a slight bow, and a twitch of the ear. No harm meant here, friend.
! !can't wait to see what they look like!! 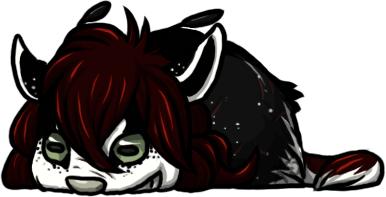 Nuzzles close to the warm deer and make a yawning whine, digging his nose down his tail looking very content and happy. "So warm and cozy." He mumbles with his kind sort of snarling voice. Ah, I'd love to RP them together sometime. Would you be up for that? Yeah!! i'd totally be up for that sometime, definitely let me know! you can add my skype, if you'd like, or I can add yours, either is fine! Cool beans B^) I'll add you in a little bit then! So you are the stranger who led me to Jovan the other day! I hope I do not tire you out, my strange friend. Thank you for your company. It is much appreciated. "Of course, as is yours, my playful companion. I have been most excellent, and my hope is that you have, as well." Ah, it has been well! Just... small things every now and then. But I have no true worries. "Ah, I'm indeed glad to hear that. Though, take care not to let those small things grow, won't you?" "When you have lived as long as I, such things are unavoidable, I'm afraid. I merely refuse to feel strongly about them one way, or another, anymore." I am afraid I have not yet learned such a thing. "My hope is that you will never have to." All things are learned, I should think. Perhaps it just depends on if you accept the teaching? Really enjoy his in-game presence. He's been a lot of fun to interact with!